Amidst the heavy shelling of Pakistani troops across the Line of Control in Poonch sector on forward areas, a Border Security Force soldier got martyred along with a 5-year-old girl, which has sparked panic in the residents living near the border area. 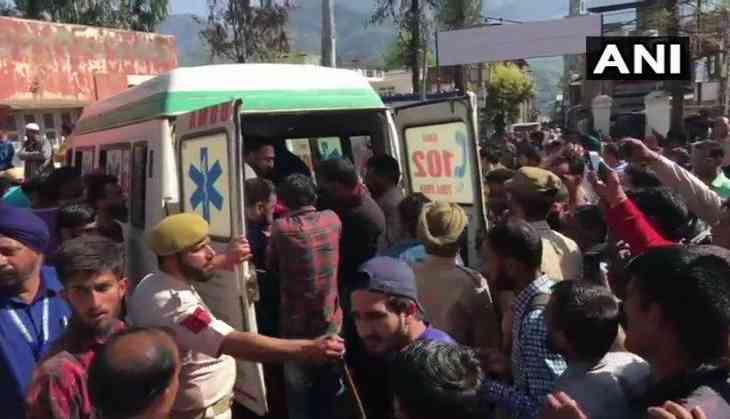 The girl Sobia lost her life, while two other civilian suffered injuries after a shell exploded near their house in Shahpur sub sector on Monday afternoon, the officials have said. As per latest reports, the shelling by Pakistani troops have been continuing in Krishnagati, Kerni, Mankote, Gulpur, Degwar Shahpur and Poonch sub-sectors. The officials have further said that around six houses have been damaged in the incident of shelling from Pakistan. A total of eleven persons were injured in the heavy shelling by Pakistani Army, including six soldiers. All have been hospitalized.